First off, my whole reason for staying in this hotel was simply because it’s cheaper to fly into Albuquerque than Santa Fe (Santa Fe was my main destination for this trip). 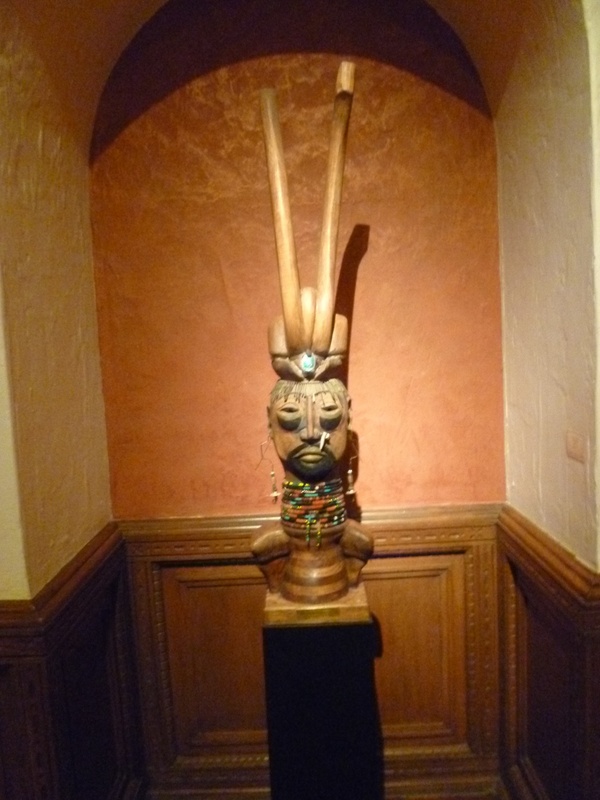 So, I decided to stay in a hotel that was within walking distance to the train station to Santa Fe, and the Hotel Andaluz was the most comfortable and attractive choice. 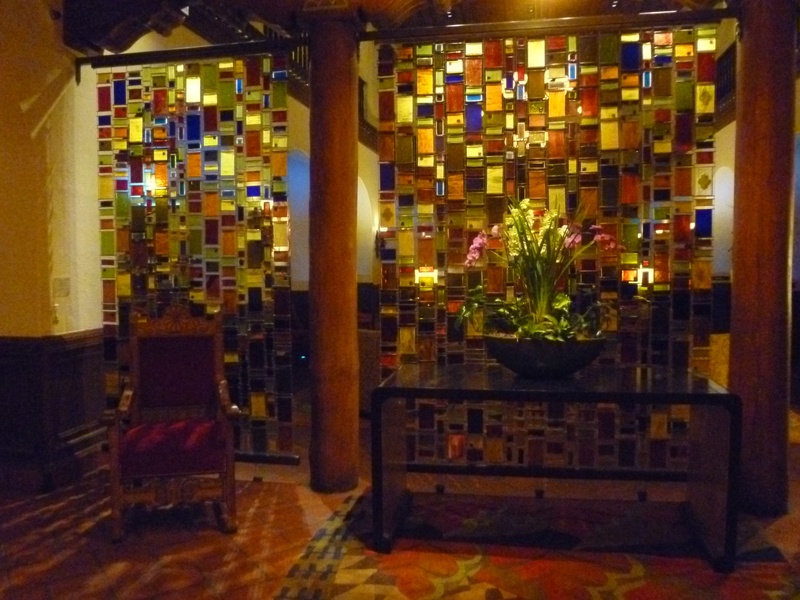 Since I spent most of my time in the hotel, this allowed me to really enjoy the lovely lobby with its little cabanas, colored glass designs and Native American art. I was also glad I checked out the cozy and charming library with a roaring fireplace where I could read or use their computer. By the way, in the library, there’s a wonderful plaque with a quote about giving back to the community written by Conrad Hilton. I was happy to see that even a tycoon like Hilton, who built the hotel in 1939, realized the importance of giving back to the community. 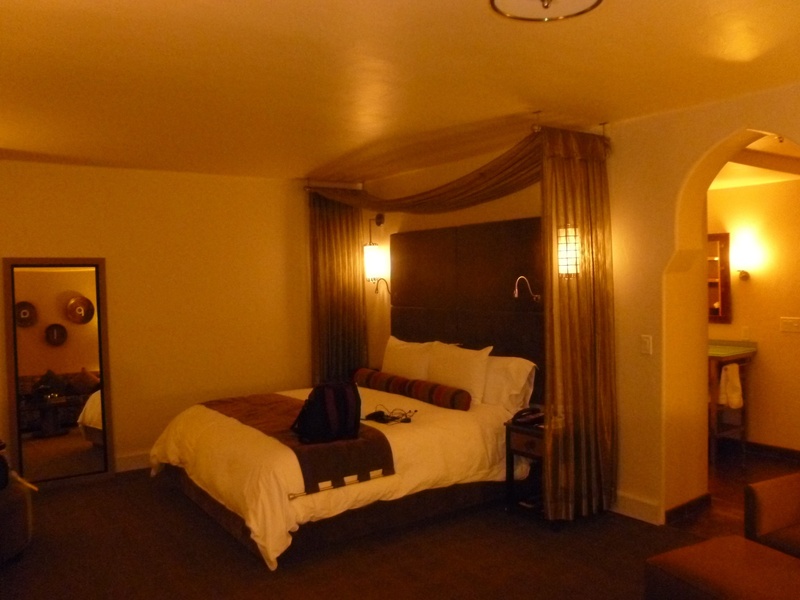 It’s very worth mentioning that the rooms have very comfortable beds. The decor is very unique but also comfortable. 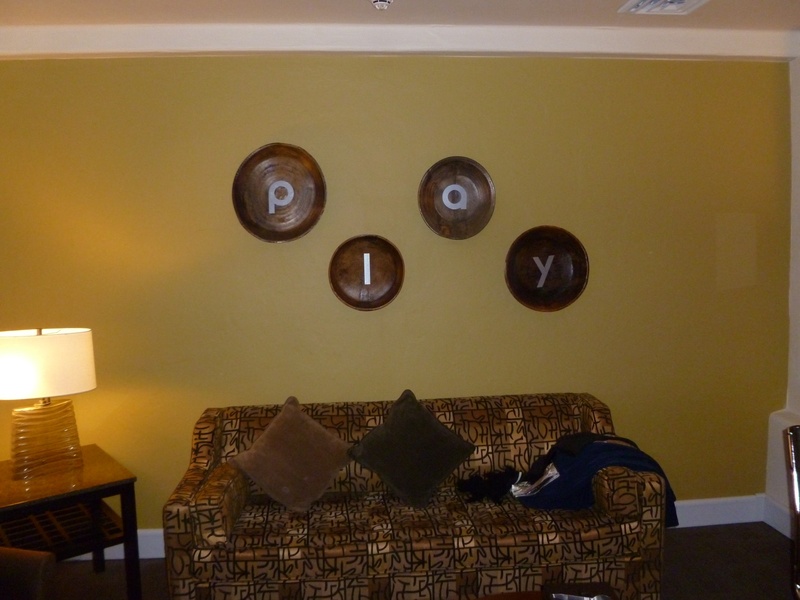 I especially liked the wall art with the words “play” on it–always a good reminder. 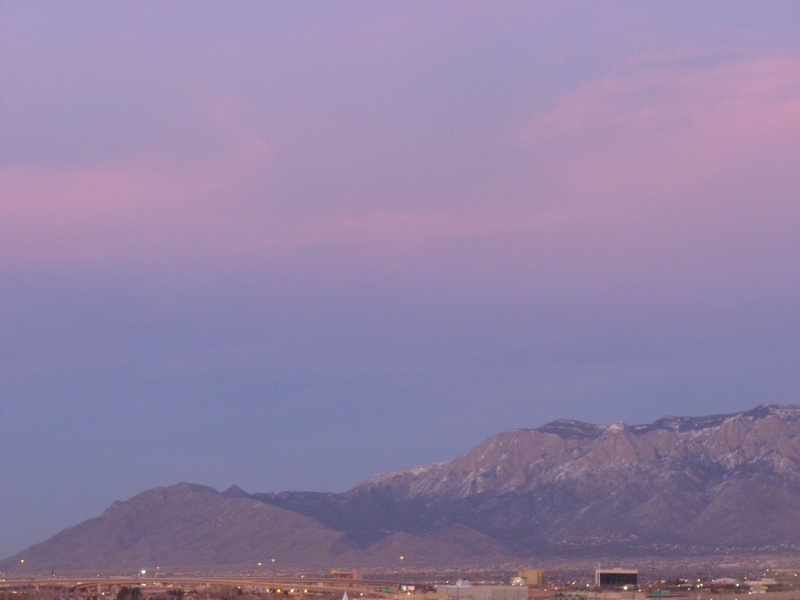 I was also lucky to be on the side of the hotel which had a beautiful view of the Sandia Mountains. The staff was very professional and thorough with making sure you have everything you need, and I always appreciate that. I had a small reservation problem that staff member Kristina Salazar-Reyes cleared up right away and in a very professional manner. My only minor complaint would be that the food was not as good as I had anticipated. It wasn’t horrible, it just was not on the same level as the rest of the hotel. Gorgeous place – the photos really show it off. Thanks for sharing this! Thank you so much for reading! I’m glad you like the photos too!